You’ve come to the right place. At M&K Parties, we specialize in fun. We know what it takes to make your party, fair or carnival memorable in the best way possible. Our products are durable, safe and enjoyable for the whole family. 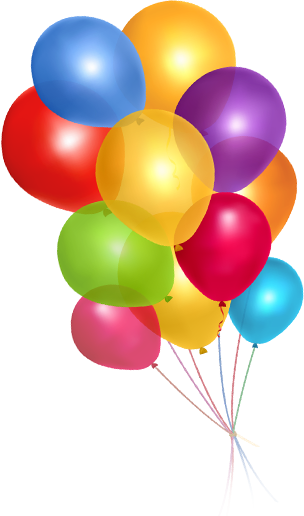 Do you want to make your child’s birthday party a guaranteed hit? Do you want that block party to be the talk of the neighborhood? Trust M&K Parties to do the trick. We’ve got everything a kid could dream of and more: dunk tanks, bouncy inflatables, Velcro walls, snow cone machines and the list goes on! Your kids will literally be bouncing off the walls with excitement when they see what you’ve got planned for them. 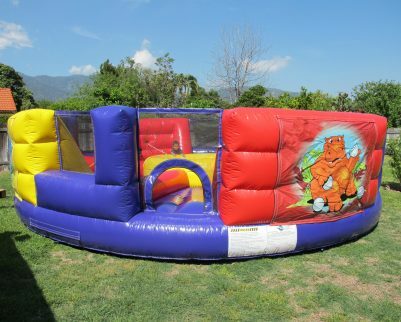 Bouncy Inflatables– What was more fun as a child than bouncing around like you’re on the moon? 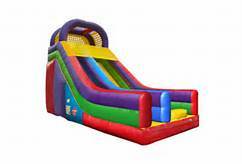 We’ve got slides, Velcro walls, water and more! 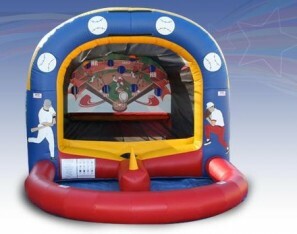 Sports Interactive Inflatables– Remember racing against your friends to get the best score or time? 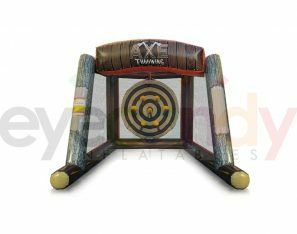 Whether it’s an obstacle course or an all-star shoot off, we’ve got the inflatable for you. 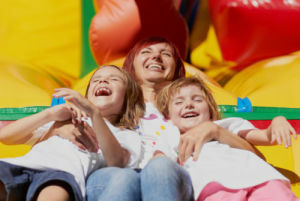 Carnival games– Kids love a lighthearted challenge. We’ve got goofy games that will put their coordination to the test. 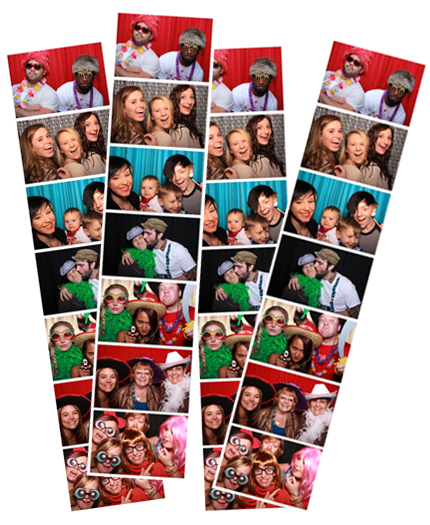 Photo booths– In the age of “selfies,” photo booths are perfect! They give kids the excuse to act silly, dress up and make memories. 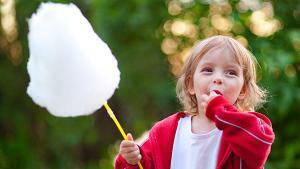 Concessions– What party or carnival is complete without cotton candy or snow cones? These tasty treats will delight young and old alike. Dunk tanks– Thinking about fundraising? 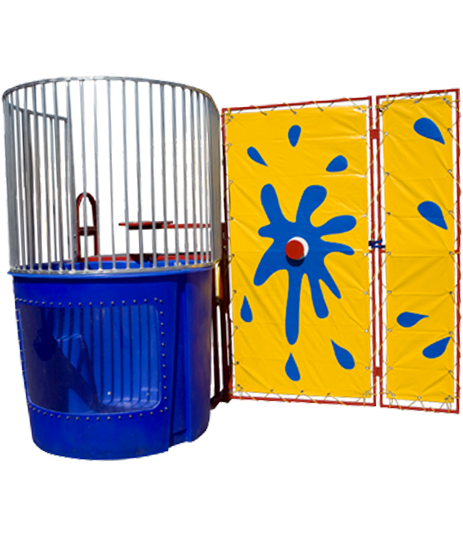 Dunking a principal or a parent could be the perfect way to generate money for your event or charity. 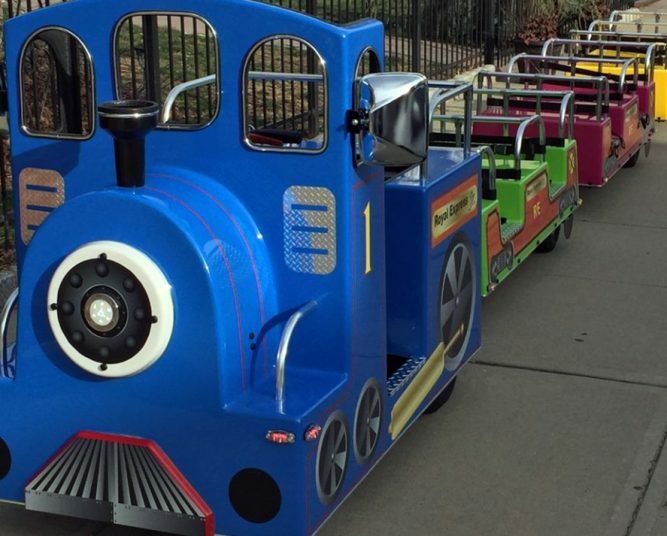 Train ride rental- One of our newest items which the children really enjoy. Accommodates 18-24 children. 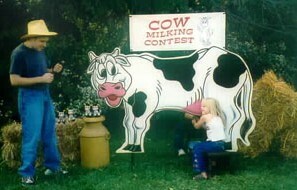 At M&K Parties, we know how to throw parties for kids of any age. Based in Farmington, IL, we offer our services in an area near you: Peoria, Pekin, Galesburg, Bloomington, Lincoln, Macomb, Lasalle and Springfield. Trust M&K Parties with your party needs. Contact us online or call 309-245-2468 today! One player at one slide and one player on the step at a time. It is the newest craze, kids throw stuffed axes at the velcro target.